This handlebar extender bracket allows a headlight and computer or other items to be mounted on a handlebar which is already full. 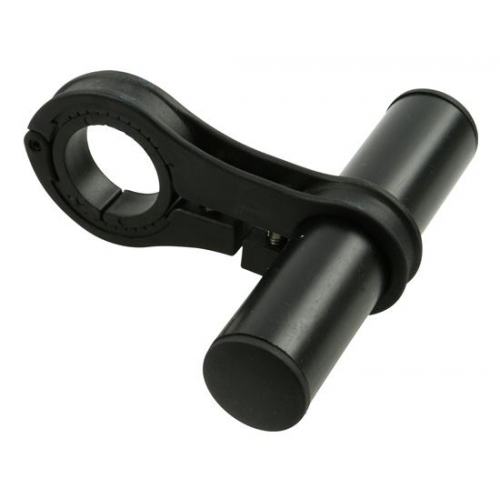 The bracket fits handlebars with a diameter between 22.2 mm and 31.8 mm in diameter. The bracket is 6 cm long (measured between centres) and supports an extension bar which is 22.2 mm in diameter and 9 cm long. The position of the extension bar can be varied or it can easily be cut to a shorter length to support just one piece of equipment. Made entirely of robust plastic, weight is just 57 g fitted.